Get 43 correct answers and you’ll pass, that’s all it takes. Simple, isn’t it? Well, there are only 50 questions to answer. And that’s without the 44 out of 70 score you’ve got to get on the hazard perception test. They’re pretty high percentages to get right. Before you start panicking, remember most of the questions are multiple-choice and if you’ve done your research and revision you’ll probably sail through it. Plus, the questions section is 57 minutes long and the hazard perception has 14 one-minute long clips, so it will be over quickly. 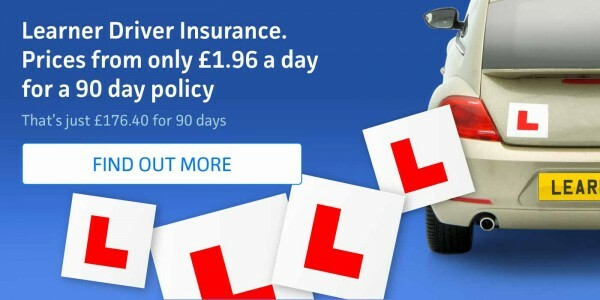 If that hasn’t settled the nerves, here are a few common mistakes learner drivers make when taking the theory test and tips on how to avoid them. When it comes to the multiple-choice questions, you can change your answers along the way if you look back and think you’ve marked an incorrect answer. It can be useful to flag up any questions you’re unsure about and come back later to avoid taking too long over the ones you’re finding tricky. Some questions tend to trip people up more than others. Here are a few of the questions commonly answered wrongly. Questions like, ‘At the scene of a traffic incident you should…’ often trip people up. It’s because they’re nearly impossible to practise in the real world and most learner drivers can’t imagine what it’s like to be in one of these events. The only way to do well at these questions is to revise and keep testing yourself. If you have a driving instructor, ask them to quiz you. Knowing what documents you need can be a minefield to learn because it’s not easy to practise. To help you remember, try to learn what each document means and does, then you can make an informed decision based on the question. For example, questions such as ‘As the registered keeper of a vehicle, it is your responsibility to inform the DVLA of’, is much easier to answer when you’ve actually seen the V5c (commonly called the logbook) document and understand what it’s for. 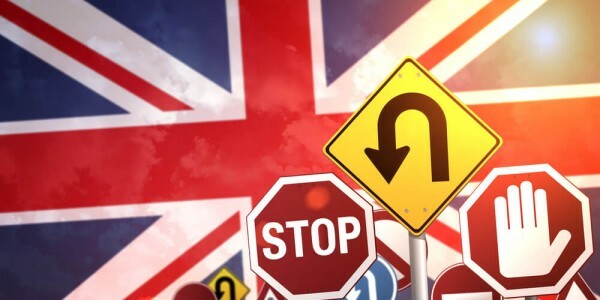 Road signs are quite literally another language, full of symbols which can be difficult for new drivers to learn. It’s likely you’ll be asked what a few road signs mean during your theory test. The hardest signs to learn tend to be the ones with no letters, numbers or directions, such as junctions, no entry and no parking signs. Take extra time studying these tricky signs and, as always, test yourself. ‘When can you overtake on the left?’ is one of the hardest questions to answer. With everything you learn driving around, you know it feels wrong and the word ‘undertaking’ will probably ring alarm bells in your head. There are times when it is acceptable – when you’re on a multi-lane carriageway in congested traffic, for example. During driving lessons, question why you can’t do certain manoeuvres and ask your instructor if there are circumstances when you can. It may help you to imagine the situation so it’s easier to remember. This section of the test assesses how well you notice potential hazards while driving. You will be shown 14 one-minute clips of driving footage, and you’ve got to imagine you are the driver and click whenever you see a hazard. There’s one hazard in each clip with one clip containing two. The system scores you one to five, depending on how quickly you react by clicking. The system is clever, so don’t continually click or click at regular intervals – it will know and you’ll immediately fail. The important thing to remember is that you need to keep calm. If you get nervous, you’re more likely to miss hazards. You’ve got three minutes between the end of the question section and the start of the hazard perception part, so spend that time breathing deeply and relaxing to help prevent you getting panicked. The hazards aren’t always that easy to recognise. Keep your eyes peeled for things like indicator lights, cyclists, pedestrians and other cars driving too fast - just a few of the hazards you might be shown. Luckily for you, there are lots of tests online and through apps so you can practise well in advance. We’ve saved the dreaded ‘R’ word until last. You’d be hard pushed to find someone who loves revision, but it’s the only way to make sure you know your stuff for the theory test. If the average person has 47 hours with an instructor and 22 with a family member before taking the practical, you really should spend more than a couple of hours revising for your theory test. Get the books and read them, and most importantly, test yourself with some theory test questions and answers. If the idea of getting your friends and family to test you is making you cringe, consider downloading an app which will do the question asking for them. You can also test your knowledge with a full practice theory test. Have a look at our top tips for learner drivers for more advice on learning to drive and doing well in your test. You can also read our guide to the theory test for more information on what to expect.